It's Christmas season one more time, and there are many things that a considered classics for this time of the year in the Western world. A Christmas Carol by Charles Dickens is one of them. Literally dozens of versions have been created over the years. Christmas Stories: A Christmas Carol is a casual game version! The game play is pretty standard, or should I say classic just like the story? 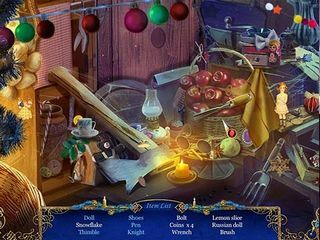 This version follows the original plot of the story but probably takes a bit different turns at times to fit the hidden object puzzle adventure game format. Your uncle Scrooge is in need for your help. You actually need to interact with the spirits and turn his destiny into another direction before it's too late. The game's audio-visual presentation is very festive and full of Christmas spirit of course! Snowy scenes and lots of lights and decorations make you want to stay there. The game play is pretty standard, or should I say classic just like the story? 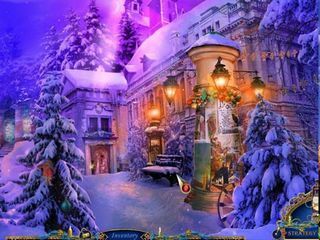 There are interactive hidden object lists for the searches and the mini games that would be well familiar for most of the players. Everything seems to be not too difficult or too easy. Then there's also the CE content that will please everyone as well - a lot of collectibles and achievements and other visual and audio gifts. There's also a bonus game - just like an additional surprising gift for Christmas! You should definitely try this one if you enjoyed the Nutcracker release. If you don't know what I'm talking about, you should try both! This is Christmas Stories: A Christmas Carol review. Download this game here.